As the Supreme Court listens to an extraordinary six hours of arguments this week (March 26-28) on the constitutionality of President Obama’s health-care reform, the justices will face the challenge of finding their way to a legal ruling on a case with politics written all over it. Never before has a president’s signature domestic policy initiative been pending at the Supreme Court just as the president is facing re-election before a closely divided nation. And never before have the justices been so predictably divided on legal issues based on the political party of the president who appointed them. Both sides in the debate over the law  fully entitled, the Patient Protection and Affordable Care Act  are doing their best to remind the justices of the political stakes. Placard-carrying demonstrators, pro and con, will mass on the sidewalks in front of the Supreme Court building all three days. Liberal groups have secured use of the United Methodist Church building across the street to set up a media center, where supporters of the law will be readily available to reporters and talk show hosts for comment (read: spin) on the case. 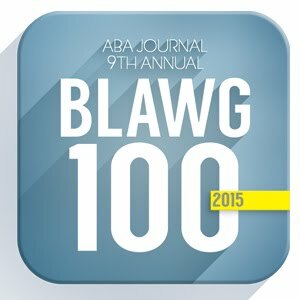 The cases  three of them: Dep’t of Health and Human Services v. Florida, National Federation of Independent Business v. Sebelius, and Florida v. Dep’t of Health and Human Services  have attracted a record-busting 136 friend-of-the-court briefs, way past the previous record of 103 amicus briefs in the 2003 affirmative action cases. One news organization calculated that vertically stacked the briefs would stand about two feet high. The court acknowledged the stakes in the case with its decision to post an audio recording of the arguments on the court’s web site within hours after the end of each session. The press release announcing the same-day availability noted the “extraordinary interest” in the case. Would-be spectators hoping for a seat in the courtroom were already camped out on the Supreme Court plaza on Friday, three days in advance of Monday’s session. Those who get in will be disappointed perhaps to learn that the issue that day is whether the challenge to the provision requiring everyone to have health insurance is premature under a law called the Anti-Injunction Act. The big showdown on the individual mandate  supporters call it the “minimum coverage” provision  comes in a two-hour session on Tuesday that will pit Solicitor General Donald Verrilli for the government against former solicitor general Paul Clement for the states and former Reagan administration Justice Department official Michael Carvin for the National Federation of Independent Business and individual challengers. Verrilli and Clement will go head-to-head again on Wednesday in the states’ somewhat overlooked challenge to the law’s expansion of Medicaid coverage. The first-level handicapping of the justices’ votes puts the four Republican-appointed conservatives on one side, ready to rule for the challengers, and the four Democratic-appointed liberals on the other, locked in for the administration. The tie-breaking vote belongs, as it often does, to Justice Anthony M. Kennedy, the Republican appointee nominated in 1987 only after the Democratic-controlled Senate rejected the ardent conservative Robert Bork. Kennedy’s pivotal role was exemplified in the 5-4 decisions just last week (March 21) newly recognizing a constitutional right to effective assistance of counsel for criminal defendants in plea bargaining. Kennedy’s alignment with the liberal bloc, over a vigorous dissent by Justice Antonin Scalia for the conservatives, reflected Kennedy’s instinctive support for fairness in court proceedings. Opponents of the health-care law hope instead to appeal to two of Kennedy’s other instincts seen in his opinions through the years: support for individual liberty and for states’ sovereignty. Under their analysis, Kennedy could lead a five-vote majority to find the individual insurance mandate an impermissible intrusion on individual freedom and the Medicaid expansion an impermissible financial mandate on the states. All along, supporters of the law have been pushing a second-level handicapping that views Kennedy, Scalia, and Chief Justice John G. Roberts Jr. as possible, maybe even likely, votes to uphold the law. They point to Kennedy’s opinions stressing the importance of a national economy as evidence of his broad view of Congress’s powers under the Commerce Clause. They note that Scalia took a broad view of Congress’s powers under the Constitution’s Necessary and Proper Clause in the 2005 decision elevating the government’s anti-drug laws over California’s medical marijuana initiative (Gonzales v. Raich). And they note that Roberts similarly evinced a broad view of the Necessary and Proper Clause in joining the 2010 decision upholding Congress’s power to require civil commitment of sexual offenders after completion of prison sentences (United States v. Comstock). Supporters of the law believe they have the weight of legal precedent on the side. Opponents argue the individual health insurance mandate is literally unprecedented and the Medicaid expansion an exponentially greater financial imposition on the states than any previous federal spending mandates. On the eve of the arguments, Supreme Court watchers are predicting the law will be upheld. Some in the press corps, such as the Washington Post’s Robert Barnes and the New York Times’s semi-retired Linda Greenhouse, were emphasizing legal analysis. Others, such as Huffington Post’s Michael Sacks and Slate’s Dahlia Lithwick, view Roberts as likely to lead the court away from a political confrontation on this issue in order to save the court’s political capital for later fights on bigger issues, including the new challenge to racial preferences in college admissions set for next term. The justices will vote on the cases this week, but the rest of us will not know the results until the written decisions are issued, presumably on the court’s final decision day at the end of June.